Every entrepreneur wants to succeed. Unfortunately, the road to success bears little resemblance to the smooth and paved roads that we have on the expressway. Rather, it is one filled with pitfalls, distractions and all sorts of obstacles, which is why an estimated 50 to 70 percent of startups fail within the first 18 months. What some entrepreneurs do not realise is that just having a great idea isn’t enough. One needs to think of sustainability, growth and eventually, business expansion. Having the foresight to plan ahead (or the lack of it) could just very well be the reason why a startup can grow beyond expectations, or fizzle out. In this guide, we guide you on how you can grow your business, from seed to tree – the life cycle of a Singapore startup. Solid business plans are not a guarantee of success, but they will definitely help you and your co-founders work together to analyse the feasibility of your business, delegate responsibilities, perform a comparative analysis of competitors in the market; and ultimately, come to consensus on a common set of goals. One of the key benefits of a business plan is that it can be pitched and given to investors, who are more likely to commit more funding when they are able to share the same vision with the team and see the growth potential of your Singapore startup. 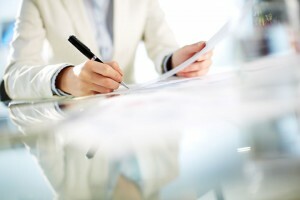 A good executive summary is meant to capture the attention and interest of the investor. Talk about how your product or service will plug the gap in the market. However, resist the temptation of telling the entire story in the executive summary. Keep it short and sweet, to a paragraph or two at most. Visual images will be a great asset here, as the key is helping the team and your investors visualise the product as accurately as possible. Identifying the key features and purpose of your service and product line can also help the team market and brand the product more effectively. Investors are also more likely to commit funds to a focused team, as this means that the team is less likely to needlessly spend money on ineffective or poorly thought-out strategies. Even if your product is “new” to the market, e.g. a food item that has not been introduced to Singapore, do note that this does not mean that it has no competitors at all. If it is a food item that is meant to be eaten on the go, every other food stall that sells food that can be eaten on the go will be your competitor. Be realistic and think about set up costs, packaging costs, daily labour costs; and compare that with your competitors in the market. Ideally, observe your competitors and chart the average daily costs that will potentially be incurred. By doing so, your team can get a better idea of how to budget realistically. Delegate responsibilities and ensure that the entire team isn’t just interested in performing one particular task. Rather, ensure that responsibilities are spread out and each and every team member is fully aware of the tasks that they should execute. Describe the attributes of each team member, as well as his or her respective experiences that will be relevant to the business, to give your investors a more holistic view of the team. Particularly in instances where not everyone in the team is available to meet investors, being able to give investors a good idea of what the entire team can bring to the table will be helpful. Understand your customer and plan how to market, brand and sell your product. For investors, this is essential as it will show investors that the team has focus and is less likely to burn cash on misguided marketing and branding strategies. 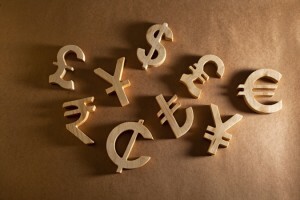 In addition, do an analysis of the planned expenditure for the marketing, branding and sales. Especially for first-time entrepreneurs, having a realistic guide will help you plan your overall budget better. Let your investors know how much you need and give a ballpark figure. Create goals and milestones for your business to accomplish before requesting for the next round of funding. This “progressive” system of funding is more likely to receive support and commitment from investors, as they are encouraged when your team achieves these goals and milestones. Project the growth of your business and clearly outline the assumptions made. Surprisingly, one thing that some entrepreneurs often overlook is the actual logistics of how to go about incorporating the business. Consult a professional corporate service provider to understand what you need to prepare and what statutory obligations you need to comply with. For example, book keeping is essential; and if you lack the knowledge on how to do so, consider hiring a professional corporate service provider who can assist you. Persuade the investor to see the same growth potential that you do. Lay out in brief, the strategies with which you intend to grow your business – in the event that your Singapore startup does take off and the team sees the opportunity to ride on the hype, having a strategy on how to do so will definitely be a great advantage. There may be instances where your co-founder chooses to be a silent partner, as in the case of Cheng Hsin Yao, the co-founder of Omakase Burger. Nonetheless, do make it a point to keep your silent partner(s) updated on the growth of the business and provide realistic projections of additional investments required, if any. This can ensure that your silent partner(s) continue to feel engaged and committed to their investment. While there may be no formal agreements required at this stage, remain aware of what percentage of equity of your business that you are giving away and keep this balance in check. This is known as “divorce-proofing” your business. Particularly in instances where your business has enjoyed a very profitable launch and the cash flows look promising, your silent investor(s) may no longer wish to remain silent. At some point, it may be good to consult a legal professional on a shareholder’s agreement to safeguard your ownership of the business. Alternatively, if there are no silent partners, one may consider employment or a partnership agreement instead. While this may seem overly formal at the onset, this can “divorce-proof” your business and ensure that the business will not undergo early termination or liquidation simply due to a disagreement between business partners. 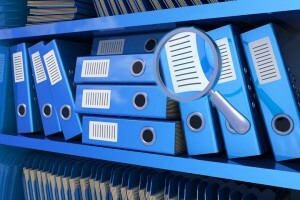 Particularly if your business product or service is unique and new to the market, the team may come to a consensus to build a restrictive or confidentiality clause into the agreement, to ensure that the idea is not stolen or replicated if the business relationship falls apart. Consult a professional and experienced legal advisor, who would be able to advise your team accordingly. For certain areas, such as intellectual property, you may need a legal advisor with adequate experience in the area. A good intellectual property lawyer would be able to advise you on the strategic protection and commercialisation of the business’ intellectual property rights, as well as licensing and exploitation of intellectual property rights. There are many private investors, venture capitalist firms and business incubators that you can pitch your ideas to, but beware that any funding received usually comes with some form of commitment. For example, they may wish to be actively engaged in management decisions, or may request shares in your company. The advantage of private investors, venture capitalist firms and business incubators is that they usually come with very experienced entrepreneurs and business savvy individuals, who may be able to give your team very good advice and provide a network through which your business can weave its way into the market. Moreover, some private investors, venture capitalist firms and business incubators such as the LaunchPad initiative, Block 71 and the Joyful Frog Digital Incubator provide an environment where entrepreneurs can congregate together to motivate each other towards success. Another side benefit is that facilities, such as a basic office, electricity and other necessities, would normally be provided to startups at a very low cost, once they manage to join any of these initiatives or business incubators. Do note that due to the changing nature of the requirements and conditions required to qualify under these schemes, entrepreneurs are encouraged to either seek professional advice or do adequate research before application under any of these schemes. Notably, there are two main types of schemes provided – the debt-related scheme and the equity-related scheme. A debt-related scheme is one whereby a loan is provided from the investor and the borrower is only required to make repayment of the loan plus interest. The lender will have no direct claim on the future profits of the business. For such schemes, the business owner will have to take note of the repayment period and assess whether it is feasible and realistic for the business, given the targeted break-even point. In addition, there may be restrictions set out in the loan agreement, which the business owners should be fully aware of. Equity funding on the other hand, is when investors make an investment in the company in exchange for some ownership of the company, as well as a percentage of the profits. While there is no deadline to repay the investment, investors may be more active and may wish to be consulted on business decisions. A common form of equity agreement is known as a shareholder’s agreement, which may define the relationship between various stakeholders of the company, i.e. founders, investors, directors, employees and creditors. To learn more about these tax incentive schemes and how one’s startup or business can qualify, do some research, or consult a professional tax agent, who would be able to guide you accordingly. In particular, some tax incentive schemes run on a certain schedule, i.e. they can only be applied for at certain times of the year; or in most situations, only once a year. Hence, it may be prudent to get professional advice to understand exactly what documents are required, what conditions need to be fulfilled and how to do so within the stipulated deadlines (if any). Your business is booming and your vision is getting bigger. Why not go the extra step and take your business public? Taking your business public raises cash, which can finance the business expansion plans for your business, allow you to build up your management team, reward staff and enhancing the prestige and standing of your business. Certainly, going public is not something that can be done overnight. You would need to engage an independent financial advisor, legal counsel, auditors, etc. Especially in instances where your company has various assets overseas, the time taken for the independent financial advisors to make a valuation of the company’s assets make be delayed. Above all, do regularly ensure that you company fulfils all its statutory obligations. A “clean” company without any previous defaults in its statutory obligations is more likely to have an easier time getting approval to be listed on the stock exchange, as compared to a company that has time and again, fallen afoul of the law. Once your business is publicly listed on the stock exchange, it can continue to raise funding through various means such as the issuance of preference shares, convertible bonds, share options and warrants. 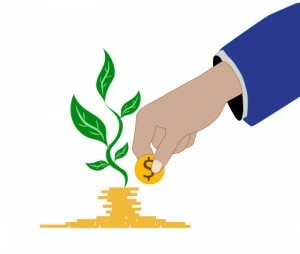 This however, does not necessarily mean that the founding members of the business will lose out on the ownership of the business, as it is possible to implement employee share option schemes, which rewards employees with shares when the business has achieved certain pre-determined targets or milestones. With so many more funding options available, inexperienced business owners may find the prospect daunting and rather confusing. We give you a quick run-down on each funding option, to help you decide which funding route to go. Convertible Bonds – As the word “convertible” implies, convertible bonds carry an option to convert the bond into shares of the company. Like many other fixed income instruments, convertible bonds will have a maturity date, fixed coupon payment and principle repayment upon maturity. Preference Shares – Preference shares are an equity security that bears the characteristics of a typical fixed income instrument, as they pay out a fixed coupon or dividend and have a par value. The main differences between a preference shareholder and an ordinary shareholder is that (i) preference shareholders do not have voting rights; and (ii) in the event of the company’s bankruptcy, preference shareholders will have the right to be paid first. Share Options and Employee Share Option Schemes – Share options allow the holder to exercise the right to buy the shares of a company at their current price, at a later date. A share option will usually have an expiry date, which will be pre-determined at the time when they are offered to employees, or the public. Employee share option schemes are often seen as a good way to incentivise employees and align the objectives of employees with that of the business, as an increase in the value of shares will mean that employees can make a profit with they exercise their options. 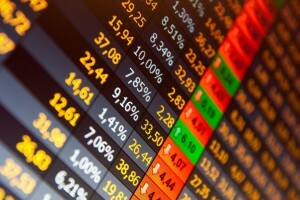 That said, to avoid a sudden spike in the sale of the company’s shares when its share price rises, it is possible to implement a moratorium period as part of an employee share option scheme, where employees will be unable to sell their shares for a period of time after exercising their share options. Warrants – Similar to a share option, the holder of a warrant has the right to purchase shares from the issuer at a specific price within a certain time frame. Warrants are issued and guaranteed by the company; and are usually offered at a lower price. It should be noted that like preference shareholders, warrant holders will not have any voting, shareholding or dividend rights. Indeed, as your company expands, grows and begins to conquer the world, it’s amazing to think that a tiny little seed of an idea has surpassed your expectations. In this day and age of globalisation where more and more people are becoming more affluent and investors are no longer restricted to just the stock exchange of their country, new companies that get listed are finding that their potential is limitless. The Alibaba Group is just one example. Originally the brainchild of Jack Ma, a poor school teacher, who was exposed to the Internet during his trip to the U.S., the Alibaba Group clinched the record for the largest IPO globally, after its hugely successful listing on the New York Stock Exchange. Notably, Jack Ma was not known as an outstanding young scholar, nor was the Alibaba Group his first attempt at a startup. In fact, Jack failed China’s college entrance exam twice; and was rejected for a number of jobs, including that of manager at Kentucky Fried Chicken, before eventually becoming an English teacher. Subsequently, Jack tried his hand at a translation business in the U.S. and an internet venture he called China Pages, both of which were flops. Even as the Alibaba Group grew, there were various obstacles in the way, eventually leading to the regrettable closure of its U.S. office. Nonetheless, through his fierce dedication, perseverance and determination, the Alibaba Group grew to be what it is today. 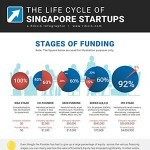 To know more, read our infographic on the life cycle of Singapore startups. Learn about the stages of funding (from idea stage to IPO stage), different documentary requirements for each stage of the process, most frequently used financing structures, shareholder’s agreements, and financing schemes. 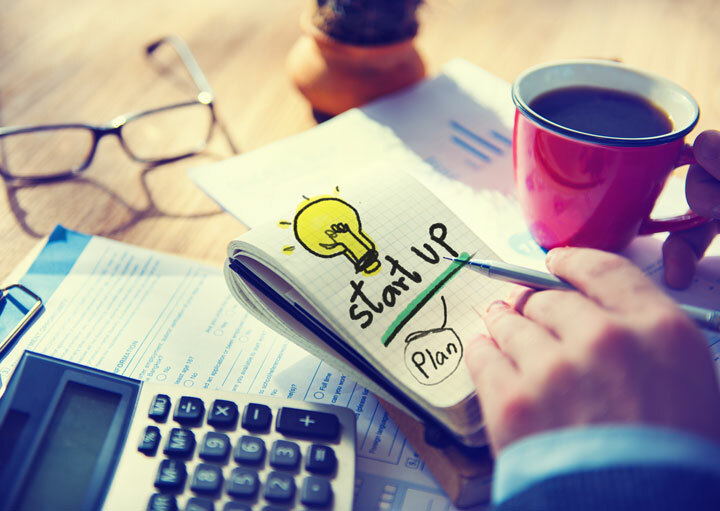 Ready to setup your startup company? As an established professional service group in Singapore that provides corporate and business solutions, Rikvin has specialists who can advise you on your needs and answer any queries that you may have. For a personalised assessment of your company, call us at +65 6320 1888 or contact us now for a free consultation.